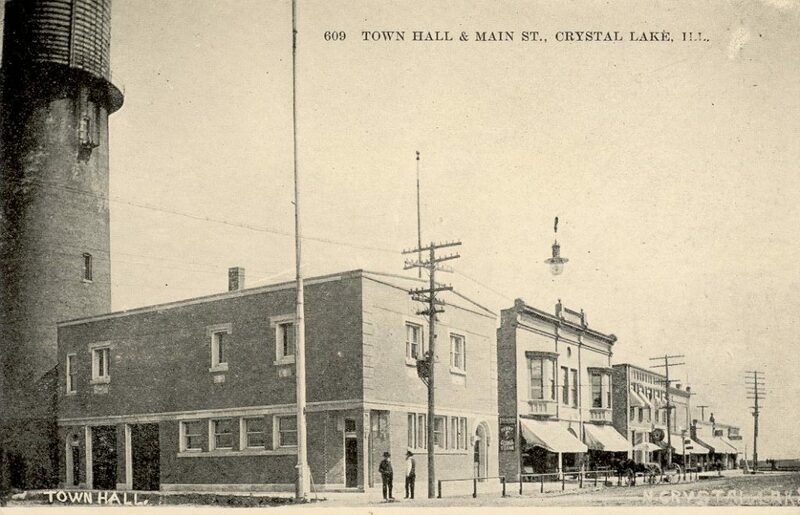 The oldest fraternal organization in Crystal Lake is probably one of the least known and least understood groups. Nunda Lodge No. 169 Ancient Free and Accepted Masons was started in 1855 – yes, you read that right – 1855. A fraternal organization is defined as a “brotherhood or a type of social organization whose members freely associate for a mutually beneficial purpose such as for social, professional or honorary principles.” The singular purpose of Freemasonry is to make good men better. Freemasonry is open to all men of good character who believe in God. Freemasonry is not a religion. Rather, its members are encouraged to practice their own faith and are taught tolerance of each others beliefs. Freemasons are united in their desire to be of service to mankind. Freemasonry admits only men, but many Masonic-related organizations, such as the Eastern Star, Amaranth, Job’s Daughters, Rainbow for Girls and DeMolay for Boys, offer similar opportunities for women and youth. On April 7, 1855, a meeting was held under dispensation granted to empower nine Master Masons to form a new Lodge in Nunda. Those nine men were: James R. Mack, Horace Burton, William R. Willard, E.J. Kelsey, A.H. Nixon, Harley Green, Abner Mack, Gustavus A.Palmer, and James S. Anderson. Bylaws were adopted, and James R. Mack was elected Worshipful Master. According to lodge history, the first meetings were held at the home of Horace Burton, near Griswold Lake. For a few years, the meetings were held in the newly-built brick home of G.A. Palmer (commonly known today as “The Colonel Palmer House”). Eventually, the lodge meetings moved from its members’ homes and into one location in town. Fire on February 1st, 1868 destroyed the building in which the Lodge held its meetings. Nothing was saved except the minutes and records. The original Charter, which hung on the wall was destroyed in the flames. A duplicate Charter was later reissued. Meetings were once again held at G.A. Palmer’s home for a year until the Lodge could arrange for a new place to meet in town. The Lodge rented space on North Main Street (just north of Beardsley Street). In 1907, the Masons moved to the second floor of the recently constructed Town Hall (corner of North Main and Beardsley). The Mason’s continued meeting in this space until 1960. The Lodge roster of members since 1855 includes hundreds of men who were pillars of our community. The list includes lawyers, judges, doctors, politicians, businessmen, educators, and more. Names like Gates, Cowlin, Pflueger, McCollum, Dean, Fanter, Flagg, Franz, Pingry, Lowell, Metropulos, Oehmke, Palmer, Svejcar and Clow fill the books. It is virtually a “Who’s Who” of our community. By the late 1950s, the Lodge had definitely outgrown its rented space above City Hall. At the same time, St. Paul’s United Church of Christ’s congregation was making plans to move to a new church building on Woodstock Street. 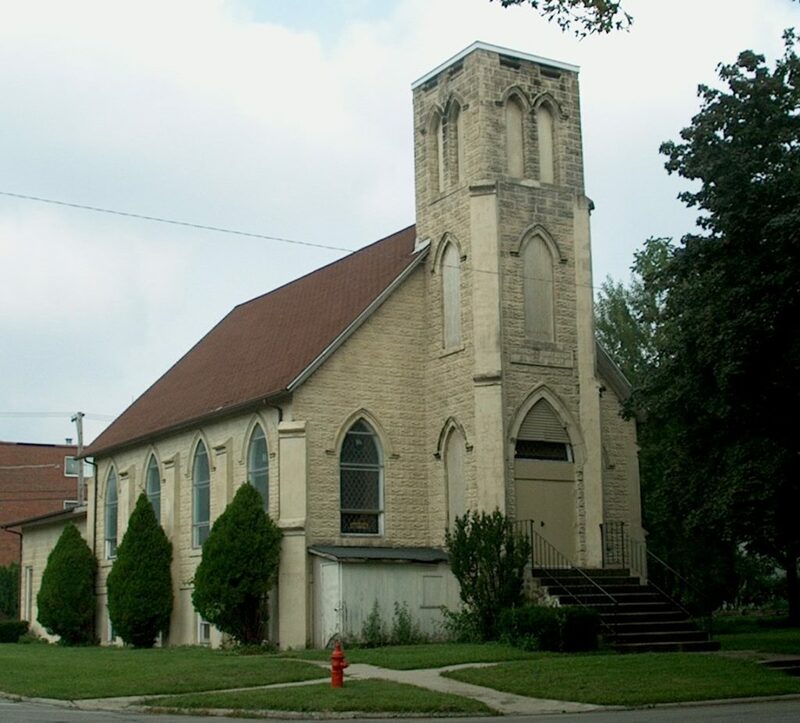 St. Paul’s historic church at the corner of Ellsworth and Sherman Streets became available, and a deal was struck. In June, 1960, Worshipful Master Keith Oehmke accepted the keys to the Lodge’s new home. The men quickly went to work with member Hilding Olson being appointed chairman of the remodeling committee. The old St. Paul’s Church was transformed to suit the needs of the Masons and their affiliated groups. The upstairs meeting hall (former church sanctuary) is used for the group’s formal meetings, while the downstairs provides room for fellowship, food, and recreation. More than 160 years after its founding, the Nunda Masonic Lodge No. 169 continues today. The group sponsors youth programs, offers support to its members in need, and reaches out to the larger community by hosting sailors from Great Lakes Naval Station at Thanksgiving.